The most talented Yvette at The Charm House gave me this award. I am humbled and honored that she thought of me. Thanks Yvette. She is absolutely wonderful. If you have never checked out her site you should. Anyway, Lisa at Antiques and More gave Yvette this award. 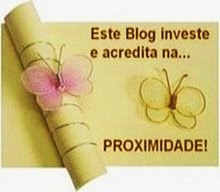 It is written in her native Portuguese language and it focuses not on the glory and fanfare of blogging, but in the PROXIMITY to one another through this on-line world. Here's the definition of the award: "Blogs who receive this award are 'exceedingly charming' say its authors. This blog invests and believes in the PROXIMITY-nearness in space, time and relationships. These kind bloggers aim to find and be friends. They are not interested in prizes or self-aggrandizement. Our hope is that when the ribbons of these prizes are cut, even more friendships are propagated. Deliver this award to eight bloggers who must choose eight more and include this cleverly-written text into the body of their award." Being a rebel, I can not pick just eight people. 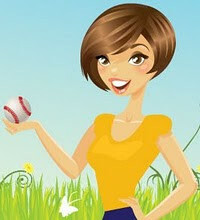 I am blessed to have some of the most amazing bloggy friends. So I am giving this award to all of you. If you have time please take the award and post it on your site along with the story and your choices it's recipients. : ) I am going to visit the Charm house friend right now! I love my tile and so does Quince's wife. You are the nice, nice, nicest of all bloggers RR Mama : ). Happy weekend to you. We are going to get Sabria and Naji after school. They will be here to celebrate Kaishon's Birthday with us. Also, it was Sabria's Birthday this weekend so we will celebrate her too! Yay for January Birthdays!